Congratulations on your accomplishment. Do keep in mind that QRPp cw mode requires at least one operator able to copy, that is hear, the signal. Not necessarily so in some digital modes. Also, unlikely that the QRPp cw operator will be calling CQ 24 hours straight. You can walk away from the shack and leave digital running 24/7. Something is bound to eventually turn up on the computer screen. I will say, digital mode QRP may be the only mode possible as propagation deteriorates and this cycle is finally over and out. Not sure why I didn’t comment back when you published this post Jason. Perhaps my head was stuck in a different project at the time. 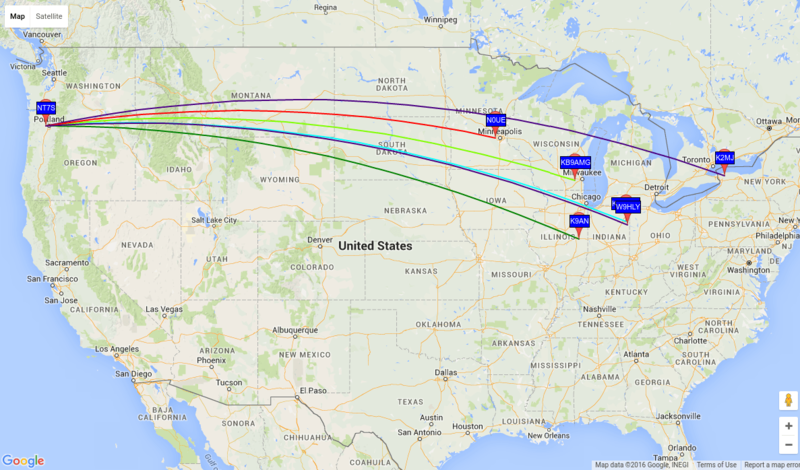 There’s something so magical and appealing about the simplicity of an Si5351 feeding the antenna directly (via an LPF) – and the signal making it across the country! Of course, the internal circuitry is not simple at all, and then there’s the software that runs it, but the low parts count is pretty darned cool.